The powers that be have spent countless sums trying to answer this Where’s Waldo question since they lost track of their man in Afganistan in 2001. It turns out the best place to hide may well be in plain view… Who’d a thuk he would even advertise? 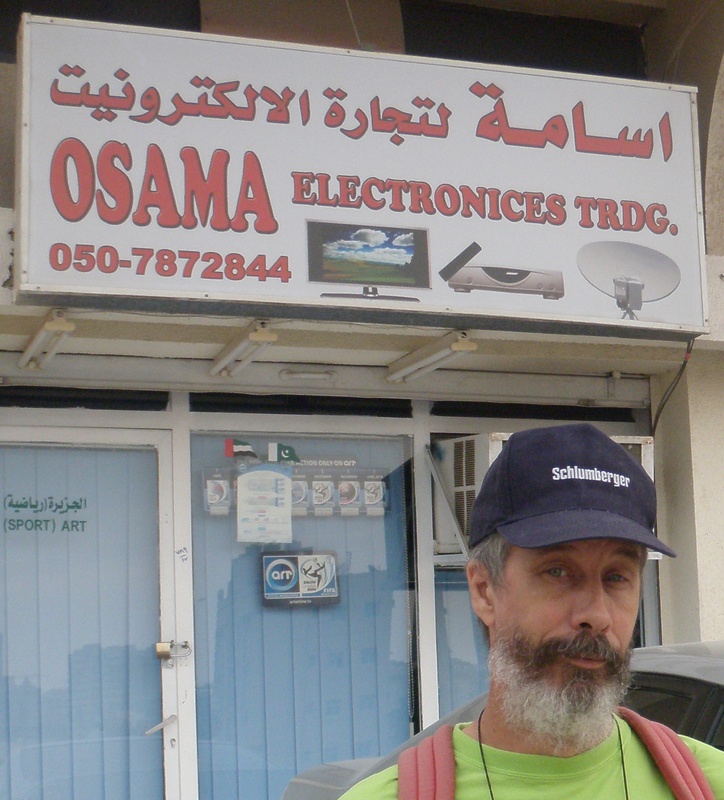 Was this where the formidable Bin Laden Contracting firm started? In our humble little emirate of Ajman? It appears he’s even branched out to fine family dining and has no problem putting his name in lights! Quite the popular eatery, Osama is obviously a pretty sweet guy! This next photo recently surfaced and allegedly shows Osama (or someone bearing an uncanny likeness to him) with his wife. « Avatar as a teaching tool!